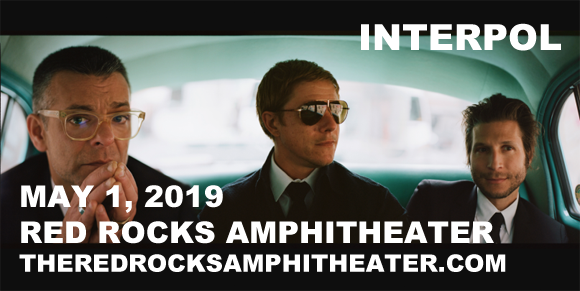 Post-punk New Yorkers Interpol are playing Red Rocks Amphitheater on Wednesday 1st May 2019, in support of their most recent album Marauder, which is their first in four years! The esteemed indie rockers are bringing an honest and introspective vibe from their new effort, and they will be performing fresh new material for fans, like "The Rover" and "Number 10" – it's bound to be electric! What a treat to see such an iconic band at such an iconic venue!